It's natural-chic and can be used for so many projects! With 4 natural & 5 dyed colors to choose from, this burlap ribbon is fabulous for decorating gift packages, for holiday and wedding decor, bouquets and home design. 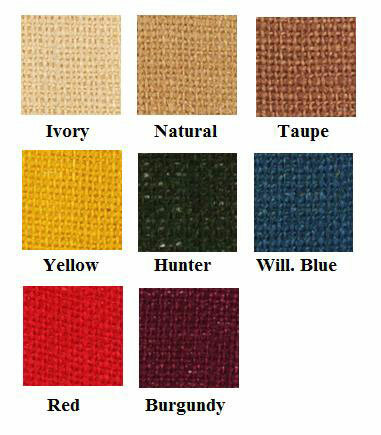 Widths: 7/8", 1 1/2" & 2 1/2"
....Please select Hunter Green Ivory Natural Taupe Red Yellow .